Tom Hiddleston, Zawe Ashton and Charlie Cox in Pinter’s Betrayal; New York’s 80s drag scene in TV drama Pose; plus poet Caleb Femi’s new work to celebrate the spring equinox. 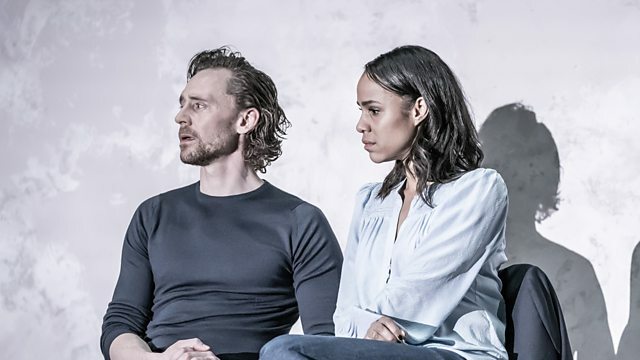 Tom Hiddleston, Zawe Ashton, and Charlie Cox star in a new production of Betrayal – Harold Pinter’s play based on his affair with Joan Bakewell. The actors discuss being on stage throughout the play, even in scenes they’re not scripted in, the difference between a Pinter pause and a silence, and how playing squash helped them get into character. Plus the 1980's New York drag 'ballroom' scene in ground-breaking new BBC drama series Pose, which features five trans actresses in lead roles. Samira talks to creator Steven Canals, who was inspired by the 1990 documentary Paris is Burning. And poet Caleb Femi’s new work to celebrate today's Spring Equinox, commissioned by Radio 4 as part of its Four Seasons day of poetry. Caleb performs Here Too Spring Comes To Us With Open Arms. National Theatres, Mark Morris, It Must Schwing!